The title says it all! Various styles of bags, made from the same fabric, and sold as a set. 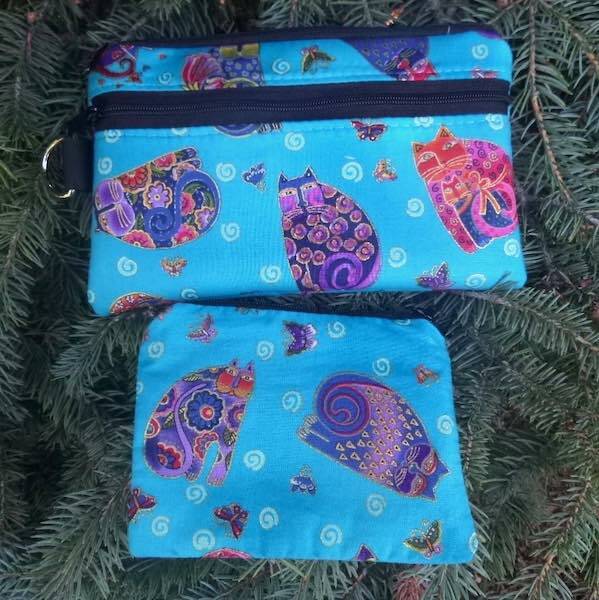 Nothing specific, could be as simple as a coin purse and a zippered bag. Or as complex as a Tallullah purse, or Zelda Deluxe Messenger Bag, with a whole host of matching accessories. Whatever the fabric tells me to do, I do! Also you might try using the search box, to the top left, to find the theme you seek. There are often items made from the same print, sold individually.